My original Dungeons & Dragons Basic Set rule book. In 1982 a life-changing event happened - at least for me. Steven Spielberg released his latest blockbuster movie, in a day when the very concept of "blockbusters" was still a fairly new thing. These were the times when Spielberg and his Hollywood friend George Lucas were releasing films like Star Wars, Jaws, Close Encounters of the Third Kind, and Raiders of the Lost Ark. All of these films made a huge impression on me, and DVD copies sit proudly on my shelf today. But the release of 1982 was to lead to something else altogether. E.T. the Extraterrestrial was hyped incredibly before release. There were stories and photos of E.T. and Elliot in the TV and movie magazines, and everyone was saying it was going to be a huge hit. I recall this was my first experience with hype aversion. By the time the movie came out, I actually didn't want to like it. But I saw it anyway, possibly because deep down inside I knew it would probably be good. And it was. Spielberg knew how to make a movie that concentrated on child characters and engaged young viewers. The fact that my parents had recently divorced, matching the state of Elliot's family, made me identify even more with him. After the opening scene in which E.T. is left on Earth, there is the first scene with Elliot and his family. Elliot's older brother is playing a game with some of his friends, and Elliot begs to be allowed to play with them. The game is not shown, but from the dialogue it appears to have something to do with goblins and something called "wandering monsters". What they are playing is in fact Dungeons & Dragons. I did not absorb this fully at the time. It was only afterwards, in discussion with my friend Edward at school, that I became aware of the existence of this game called Dungeons & Dragons. Edward was good at picking up on little details from movies, and I'm glad he was, because otherwise I might never have thought about it again. Edward liked the sound of this game that we knew basically nothing about, and given that it involved goblins and monsters, I caught his enthusiasm. We both asked our mothers if we could get this game for Christmas. They managed to track down copies of the Dungeons & Dragons Basic boxed set, the one with the pink box and the cartoony artwork of a dragon and a female wizard in red robes on the front. 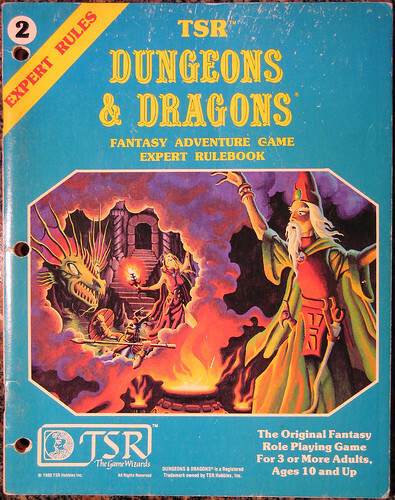 Inside were the red covered Basic rule book, another slim book titled The Keep on the Borderlands, a set of six blue plastic polyhedral dice, and a crayon (the crayon was for colouring in the indented numerals in the dice, so they could be read more easily). My first thought, as I pawed through the contents on Christmas Eve (my family opened gifts on Christmas Eve, not Christmas morning) was, "Where's the board?" I had assumed it was a sort of board game. I found a big map on the inside cover of The Keep, which I supposed could have been the board. In a sense, it was, as I discovered upon reading the rule book and realising that this game was something completely different to anything I had ever associated with the word "game" before. My original Dungeons & Dragons Expert Set rule book. Later in the Christmas holidays I showed up at Edward's place with my copy of the game and my younger brother. We sat down with Edward and his younger sister, and we rolled up our first characters, following the rules carefully. It was decided that I would take the role of Dungeon Master, so I didn't actually get to roll up a player character, but I got to create some NPCs to round out the first adventuring party. We didn't have the hang of creating original fantasy names, so the first fighter was named Superman and the first thief Penguin. Perhaps thankfully, they didn't last very long, suffering a total party kill somewhere in a cave full of goblins in The Keep on the Borderlands adventure. 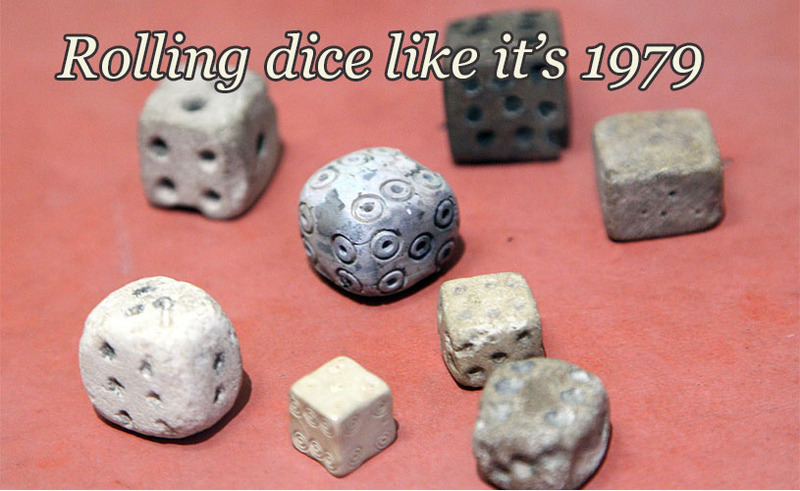 We lost three or four entire parties that way, living by the dice and dying by the dice. An ogre in the caves turned out to be an incredibly dangerous adversary for a group of low level characters. When one party met their inglorious fate, a new party would be rolled up and continue the dangerous work of clearing the caves of monsters. Each party mapped part of the cave system, and some hard effort was put into that. When a new party took over, it seemed odd that we, the players, would know part of the cave layout, but the new characters would not be privy to that information. So we invented a justification for them to inherit the map used by the previous party - a mysterious wind would blow through the caves, pick up the map from the feet of the fallen party, carry it across miles of countryside, and land it in the laps of the next group of brave adventurers. And so a single map was handed down from party to party, and eventually the last group of heroes managed to complete the adventure and rid the land of monsters. By this time the final group had managed to survive long enough to gain a few levels of experience. 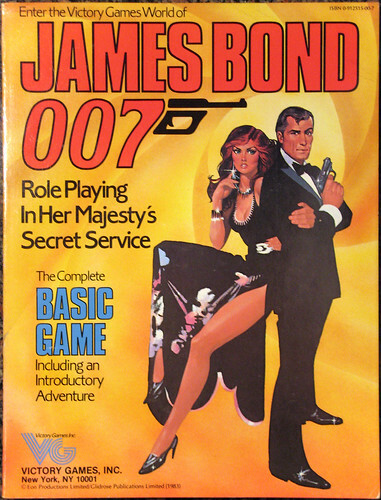 The Basic rules only covered character levels 1, 2, and 3. To progress further, the rules said, you had to buy the Dungeons & Dragons Expert Set. And so we duly did so, this coming in a blue box with a picture on the front of a male wizard scrying the scene from the Basic Set cover in a haze of magical mist. The rule book contained amazing new things. Character levels as high as 14! Spectres! Vampires! The spells Fireball and Lightning Bolt! With these newfound powers the characters took on the included Expert level adventure: The Isle of Dread. This involved wilderness travel rather than just exploring an underground dungeon, and led to the fascinating idea of getting lost in the wilderness on a map full of hexagons filled with terrain symbols. The dreaded isle itself held dinosaurs and other exotic mysteries. Once we'd completed this adventure, we needed more. The Expert rules said there were another set of rules for even higher level characters, called the Companion rules. But there didn't seem to be anything by that name available in the shops. Instead there were a bunch of books labelled as Advanced Dungeons & Dragons. I had no idea that the promised Companion level rules had been delayed in production and that these Advanced rules were actually for a different, albeit related, game. I simply made the assumption that the Advanced books must be the next step up the ladder and so acquired those. Only while reading them did I discover that this was not an extension of the Basic and Expert sets, but a completely new game, replacing many of the rules of those sets with more complex ones. My original James Bond 007 rule book. 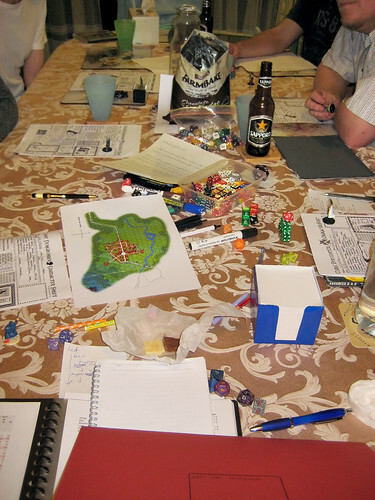 Undaunted, we started out again with first level characters, playing the "introductory" Advanced adventure, The Village of Hommlet (which had to be purchased separately - it didn't come in a box with the rule books). We progressed through that and a few other adventures, until one day the promised sequel to The Village of Hommlet was released. This was called The Temple of Elemental Evil. Its delay in publication had allowed it to grow into a massive adventure, which is still today regarded as an all-time classic. It took us a long time to play through that adventure, and by the end of it the characters were seasoned heroes of the AD&D game. Somewhere in between I managed to write a few small adventures of my own, and at some point my brother ran a few games, relieving me of the Dungeon Master duties. It was around this time that we became aware of other games like this, games in which you create and take on the roles of fictional characters in a game world setting presided over by a game master. Although I heard of a science fiction game called Traveller, I never got any of the books for it and never played it. It seemed a bit old school, and there were new and interesting games coming out, like Paranoia and Toon and James Bond 007, all of which we played a bit. By this time I was in university and my old group with Edward and his sister had broken up. I played some games with the Sydney University Roleplayers and Gamers club (or SURGe) as it was then known. (It later amalgamated with the science fiction club and became Sutekh.) I played in a science fiction campaign run by a guy called Jeremy from the club, using a rule set he had devised by himself. I wanted to run some science fiction stuff of my own, but didn't have a game for it, so I decided to try and write my own game system as well. I mentioned this to Jeremy and he asked if I had a name for it. When I said no, he said, "You should call it something like The Amber Nebula or something." The name stuck and I ran some Amber Nebula games with my brother and some of his school friends. The game system was hideous. I'd used my newly acquired skills with multivariate calculus and probability distributions to work out a "realistic" system of hit probabilities for ranged weapons, based on an assumption of a circularly symmetric Gaussian deviation model. The result was that, depending on your skill level and the size of the target, you were either almost certain to hit, or almost certain to miss - the region of parameter space in which you were about 50% likely to hit was razor thin. The system also had about a twenty different character stats, because D&D's six just didn't seem enough. Rather than just Dexterity there were Manual Dexterity, Agility, and Reflexes, for example, all of which governed slightly different things. We had fun anyway, which really proved that the game system itself didn't matter so much as the attitudes and roleplaying abilities of the players. One adventure plot involved the heroes trying to save a huge dam from being sabotaged and destroyed, only for some inexplicable reason they were supposed to keep their presence secret from the authorities and local security, so they had to do this whole mission while avoiding being detected and arrested. After succeeding in this task, the main villain fled in a speedboat. The heroes had no way of catching up, except for one of them to psionically teleport onto the boat. The trouble was that, through a quirk of the character generation process, the teleport skill took more psionic energy points than the character possessed (even when at full capacity), and the difference meant that he would take enough physical damage to be rendered unconscious. So he teleported onto the fleeing boat and immediately fell unconscious next to the startled villain. Hilarity ensued, but the heroes won out in the end. My original GURPS 3rd edition rule book. I eventually abandoned the idea of writing my own entire roleplaying rule set and decided to get a set of rules suitable for science fiction that had been crafted by experts. Having taken the decision not to try to plunge into the gigantic mass of rule books and supplemental material that was Traveller, I decided to try out a newer game called GURPS, an acronym that stood for Generic Universal RolePlaying System. It promised a single set of rules that could be used for any setting you could imagine, from space to fantasy to wild west to prehistoric cavemen, and everything in between. I bought the GURPS Basic rule book and the GURPS Space source book. At first GURPS felt overly simple because it only had four character stats (compared to even D&D's six). 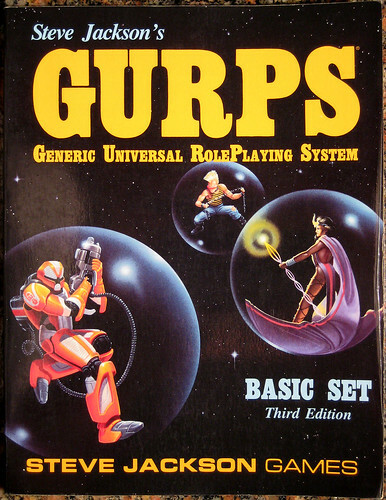 Anyone who knows GURPS is right now rolling with laughter, because it actually has a reputation of being one of the most complex game systems in existence. Notoriously, some of the rules governing vehicles actually use quadratic equations and square roots. Although on the flip side of the coin, and to be truly fair, the vast majority of rules in the overall GURPS system are options for people who want more detail. You can run GURPS extremely free form and rules light, and the necessary core rules are fairly clean and simple. The first GURPS game I ran was a new science fiction campaign with a group of friends from university. It was completely different to the previous game, but inherited the name of The Amber Nebula, which came to refer to the new campaign setting rather than the old rules set. This game is significant to readers of this comic because the PCs in it included Iki Piki, Serron, Spanners, and Paris. We played at irregular intervals governed by finding times when we could all assemble, and the campaign lasted for a few years. I kept logs of the game sessions and if you are curious you can read them. The game was somewhat cinematic, with some blatantly unrealistic scenarios, but much fun was had by all. My favourite scene was when the heroes had to defuse a nuclear bomb with no tools other than plastic cutlery. While clinging to the outside of a rapidly moving space elevator car. That was the last roleplaying I did before dedicating time each week to creating Irregular Webcomic! That and shifting jobs a few times ate up the possibility of playing for a few years. Eventually I settled into my current job, and fell in with a mostly new group of friends there. (The one old friend was the guy who had played Lambert, and previously Lycroft, the cousin of Serron, who never appeared in my comics. He actually recommended me for the job opening at his work.) These were all busy people with families, but I got the idea to run a game at work during our lunch breaks. I ran one session of a Cliffhangers genre game, with Monty Jones-esque heroes, although not using any characters from my comic. With all the board games and card games we play, we didn't revisit roleplaying again until very recently. I was inspired by the resurgence of old school and retro roleplaying material being released. Dungeon Crawl Classics is a new game based on the style and sensibilities of old fashioned roleplaying from the days of the D&D Basic Set. (And I've talked about it in some detail before.) Several open source projects have released what have become to be known as retro-clones of the original Basic and Advanced D&D rules. They take all of the non-trademarked rules material and reformat it under the Open Gaming Licence, so that the rules can be used without needing to track down and buy used copies of the long out-of-print original rule books. And Dungeons & Dragons Classics is releasing much of the back catalogue of out-of-print official rules, sourcebooks, and adventures of yore as bargain price downloadable PDF files. Amidst this load of newly available material harking back to the days of my first roleplaying experiences, I got the twitch to run something again. My first thought was the start off with Tomb of Horrors, the most infamous Dungeons & Dragons adventure of all time. Infamous because of its reputation as a killer dungeon, laden with so many deadly traps and impossible tricks that you can almost guarantee any adventuring party entering it will die horribly. I planned to run it a little tongue-in-cheek, allowing the PCs to respawn freely and keep going, while keeping a count of how many times they died. However a bit of probing determined that my friends would prefer to play a game in which their characters actually had a chance of not dying multiple times, so I've shelved Tomb of Horrors for now. And so I have come almost full circle. From a beginning with Dungeons & Dragons and pseudo-medieval fantasy, through several other sets of roleplaying rules and genres, branching off into related creative output with this very comic site, and finally back to where it all began. It's been a journey of many years, and I hope there are many more to come, because the creativity, camaraderie, and sense of fun one gets from roleplaying games is a potent combination that takes some beating. I can imagine, many years from now, being comfortably settled into some sort of retirement village and getting together with a group of friends who also grew up with Dungeons & Dragons, pulling out our vintage original rule books that will probably be selling for thousands of dollars on eBay, and settling down to an all-night session of dice rolling, high adventure, and good old fashioned fun. 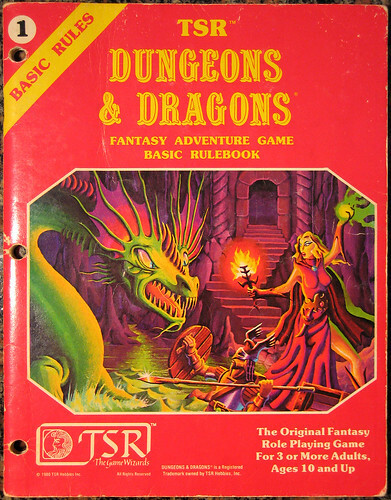 The Dungeons & Dragons Companion Set rules were long delayed and eventually released only in 1984, which was after the date when I had converted to Advanced Dungeons & Dragons. They're so simple they can be summarised enough to play the game in a 32 page booklet which Steve Jackson Games distributes free of charge: GURPS Lite.